Warriors (2015. 1 hr, 26 min, 57 sec) is a documentary film by first time director Barney Douglas, who also worked as composer and producer. I have heard often that sport has the power to change the world; honestly I didn’t believe a word of it. A lot of sports, like football, are more like tribal war given a makeover and made safe, others struck me as human hubris. Sure, the fastest man on the planet could out pace me, but is unlikely to look anything other than foolish when running from a cheetah. 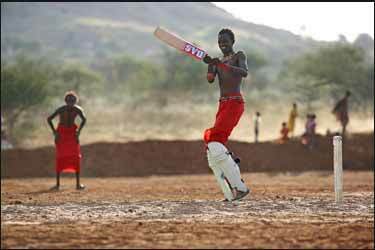 Warriors follow the young Maaasi warriors as they really do make changes in their society via cricket. The game was introduced to the tribe by Aliya Baur, who was looking for a way of being involved in sport, far away from her own South Africa. The warriors increased in skill until they were able to compete in a competition in England. 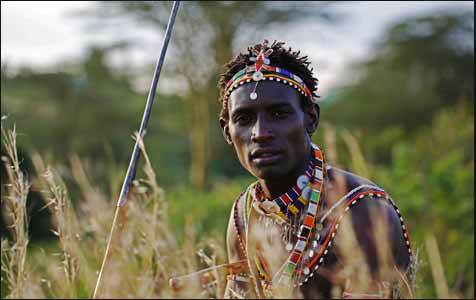 The film follows the young men as they seek some way of bringing more equality into their society, while at the same time holding on to most of their traditions. We follow them from practice to competition in England. 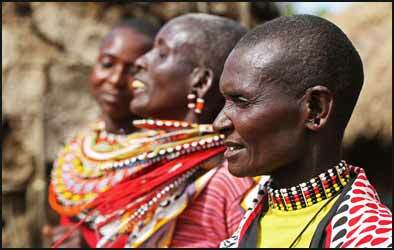 The changes they wanted were mainly concentrated around how women are viewed and valued in Maaasi culture. Being patriarchal, women play a secondary role and have no power base from which to effect change. In Maaasi society they don’t even have control over their own bodies and they are required to undergo female circumcision before they can be considered an adult and eligible to marry. The film uses a number of techniques to tell the story. For the most part it is your average documentary fare, shots of the main characters, with conversations to the camera. I might be being unfair, but I’m guessing that some of the conversations were reconstructed for the camera, especially the village elders. At the beginning of the film we see them discussing how important female genital mutilation is to the society, juxtaposed with shots of girls playing cricket. By the end of the film the elders seem to have had their eyes opened and are happy to stop the practice. This either means that much of the arguing has been edited out or that Maaasi elders are extremely reasonable people, much more so than most people with power. The cinematography is good and only occasionally fall into the trap of filming shots which would feel more at home in a tourism advert. There is a small amount of animation, specifically placed to show how the Maaasi are able to equate the skills required in cricket to their own traditional hunting skills. Obviously time has been constricted, so the connection between their success at cricket and their new found power to enact change in their society at times felt tenuous, even though they obviously did succeed in changing some deeply held beliefs. 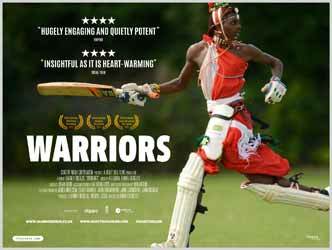 The film does a good job at showing that the cricket, while it may have been a turning point was part of an overall societal pressure for change. in the end the sport becomes the catalyst for the next generation to find their voice, to enact change for the betterment of the Maaasi people. The young warriors are thoughtful and uniformly pleasant and in case you were worried, they all speak English. 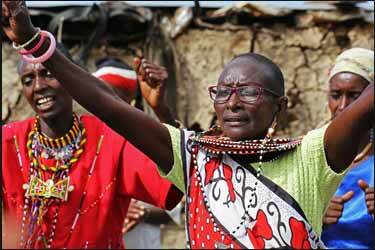 The film only reverts to subtitles when the elders are speaking. If the film were on the television then I would highly recommend it, but it’s going to have a hard time competing in the cinema. Still if you feel like seeing something warmly uplifting, you’d do worse than to check this film out.